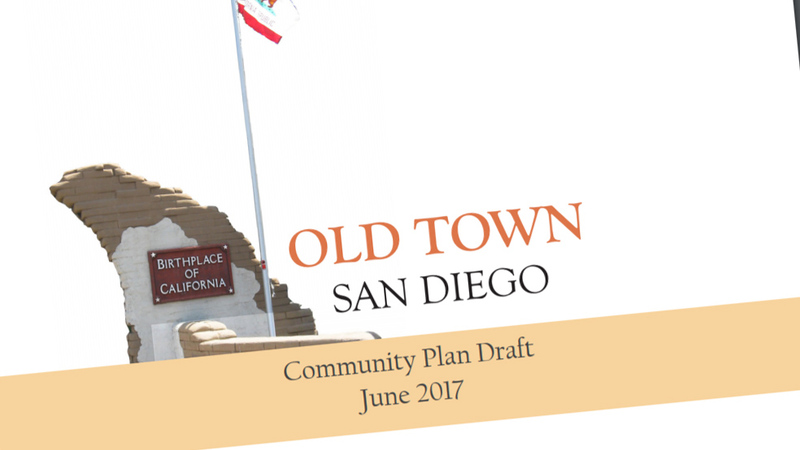 The San Diego City Council on Monday unanimously approved an updated version of the Old Town Community Plan, which will serve as a guide to the community’s development over the next 20 to 30 years. The city hadn’t updated the Old Town plan since 1987, one of 11 outdated community plans to be updated in the last five years. The plan provides guidelines on permitting, zoning, urban design and transportation. According to Mayor Kevin Faulconer’s office, the city has five more community plan updates in the works. City staff developed the plan with Old Town stakeholders to more efficiently meet the city’s Climate Action Plan goals. The city also worked with the Metropolitan Transit System and the San Diego Association of Governments to include provisions designed to improve and increase the use of public transit in Old Town. The full plan is divided into nine sections, including historic preservation, conservation, mobility and land use.